Our authentic Neapolitan pizzas are made from naturally leavened dough (without the use of commercial yeast) and fired in our wood-burning oven. Our vast selection of small plates - veggies, cheeses, salumi and seafood - take advantage of local ingredients and change with the seasons. We offer an ever-expanding selection of terroir driven wines from southern Italy, craft beers and traditional Italian aperitifs and digestives. 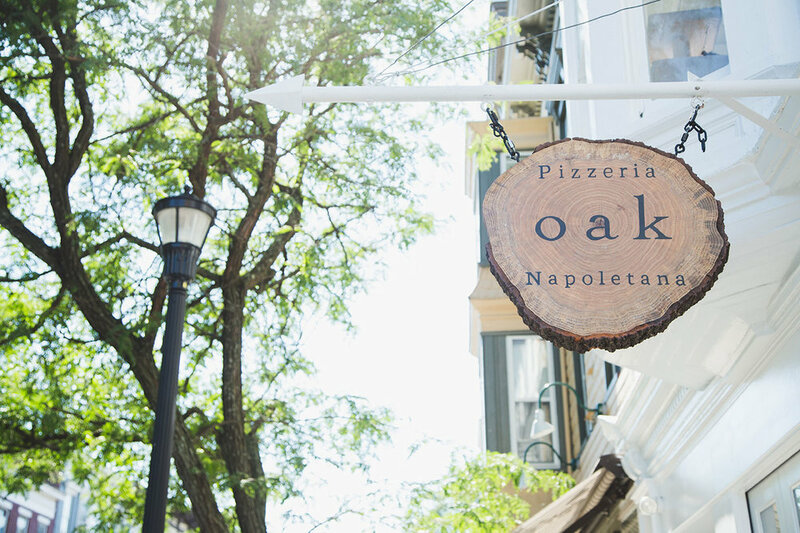 Oak Pizzeria Napoletana brings to life the long-time dream of Joey Alvarez and Juliana Santos for a convivial restaurant where the community can gather around great food, great wine and warm hospitality. After many years of working in restaurants in Washington DC and Portland, OR, Joey and Juliana couldn’t be more excited to return to Joey’s hometown to open their first restaurant.